4 clear quadrant trays with a grey metal stand forming a sturdy activity circle. 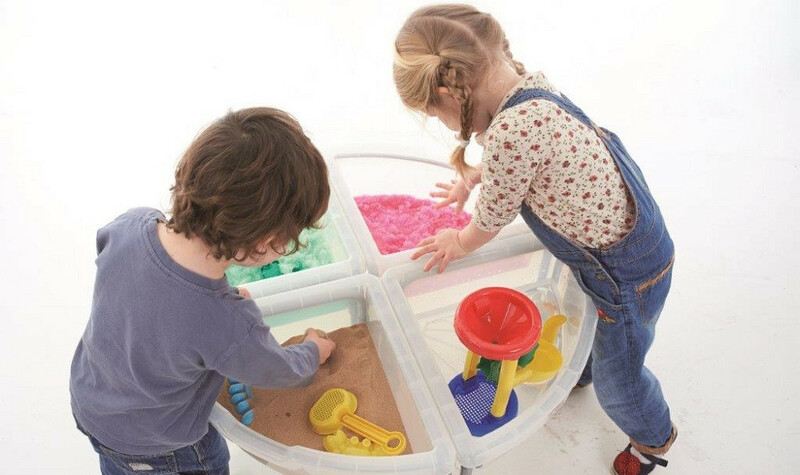 Children can play and discover the properties of sand, water, confetti, wood chippings or whatever medium you decide to place into the handy sized trays which are easy to manage, clean, lift and empty. Ideal for encouraging collaborative group play.